I recently finished writing a retail reconnaissance report, along with my licensing-genius colleague, Leigh Ann Scharzkopf of Lookout Marketing. 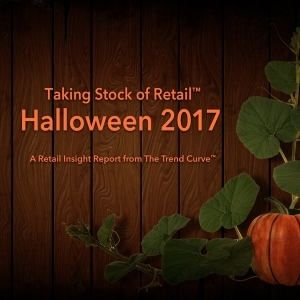 While we have created an entire series of these store-check reports, called Taking Stock of Retail™, the subject of this version was Halloween 2017. Scouring through thousands of pictures snapped by our team at retail to identify trends, and reviewing email and online marketing campaigns, I was initially focused on the topics we had chosen for our report: attention-getting store windows, original visual displays, clever products, modern messaging and ingenious packaging. In time, I also began to take note of clever names, words and phrases that appeared on products, signs and packaging from our 98 retail sources in the Americas, Europe and Australia. The list is below. To learn more about Taking Stock of Retail™ Halloween 2017, published by The Trend Curve, click here. We’re Making Halloween Frightfully Fun!